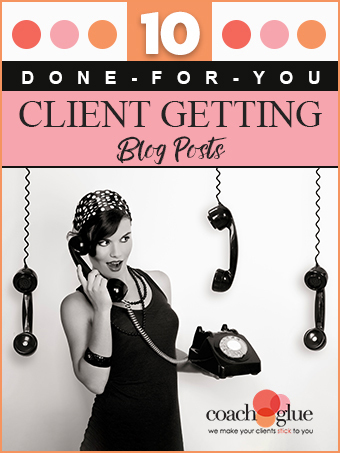 Get these 10 “Client Getting” Blog Posts and 30 Social Media Posts for only $27 and You’ll Get our Client Getting Kit with 7 Done-for-You Letters to Grow Your Client Base (a $27 value) for FREE! That’s why we’ve put together a special package of 10 professionally written done-for-you client getting blog posts on a variety of topics. These posts arrive ready to copy and paste into your blog, newsletter, or anywhere else you need compelling content that demonstrates the value of coaching. You’ll also receive 30 Social Media Posts (3 to promote each blog post) with this package. Use these done-for-you posts on Facebook, Twitter, LinkedIn and other networks to promote your blog posts. Add them to your Meet Edgar schedule for hands free promotion that works for you 24/7! Perfect for helping your clients boost their bottom line… and who doesn’t need that? Sometimes your potential clients simply don’t understand the value of coaching. This blog post will help. You really can learn anything simply with trial and error… but who wants to spend that much time? This post shows your potential clients why this kind of thinking will keep them stuck for a long time to come. If you’re a specialty coach, it can feel like a struggle to land clients. 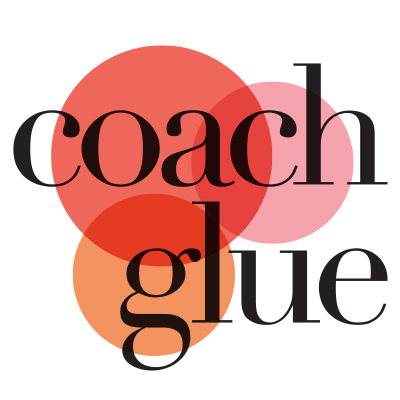 This blog post shares the many benefits of hiring a truly niche coach. It’s also getting the right things done. This post demonstrates how a coach can help boost productivity and efficiency, and add dollars to your clients’ bottom line. No one wants to think their mistakes are holding them back. Show your potential clients how not hiring you is hurting their business. Potential clients who question the cost of coaching often can’t see the return on their investment. This post can help. What sets real businesses apart from the “wannabes”? Real business owners understand the value of a mentor, and this post will show your readers how you can help. Accountability is one of the biggest benefits of hiring a coach. Make sure your potential clients understand this aspect of the coaching relationship. We all want to think there is some secret to success, but the truth is, a strong coach can make all the difference. This post helps you share the benefits of coaching with your audience. When You Get these 10 Blog Posts and 30 Social Media Posts You’ll Also Get our Client Getting Kit with 7 Done-for-You Letters to Grow Your Client Base ($27 value) for FREE! Get All 10 Blog Posts + Bonus Client-Getting Kit for Only $27! You will receive the following 7 letters in .doc version so that you can add your logo and customize them for your own use in working with your clients. Then you or your virtual assistant can send them out when they’re needed! Post Event Potential Client Follow Up Letter/Email/Card. Letter to send to people you connected witj at a business event who you feel would be good potential clients. Post Consultation Call Follow Up Letter/Email. Letter to send to people you spoke with on a free consultation call to sell them into your programs. JV Program Invitation Letter/Email. Letter to send to potential JV partners inviting them to join your referral program. Referral Bonus Letter for Existing Coaching Clients. Letter to send to past and current coaching client where they can earn a free coaching call with you for referring a new client who buys a coaching program. Referral Request Letter/Email. 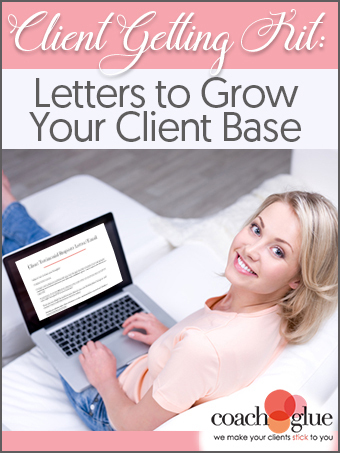 Letter to send to your current clients with a request that they refer new clients to you. Client Testimonial Request Letter/Email. Letter to send to your current clients asking them to send you a testimonial that you can use on your website and in your marketing materials. Client Reactivation Letter/Email. Letter to send to your inactive clients to encourage them to sign back up for your services and programs. Get All 10 Blog Posts + Bonus Kit for Only $27!